Python isalnum is one of the Python String Method which is used check whether the given character is either an alphabet or a numeric value. 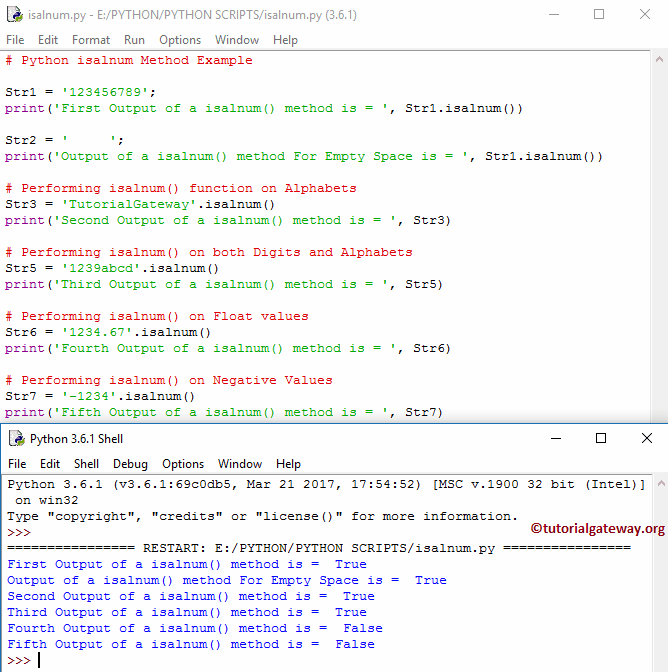 In this article we will show you, How to write isalnum Function in Python Programming with example. String_Value: Please select a valid String literal.